The June meeting of Midland Council was yet another marathon session. When it’s standing room only, you know something significant happened or is about to happen. This time it was a good news story with the Mayor presenting medals to the Midland Mystics girls under 16-basketball team, who are Division 8 Ontario Provincial Champions. Congratulations Team Midland and great job! Council then heard 3 deputations. The first was from Ms. Alicia Scarth of the Midland Heritage Committee making a pitch to establish a “Heritage Conservation District” on King Street. This is another policy Trojan horse. After all, who doesn’t respect our heritage? Where’s the harm in trying to preserve it? How could anyone possibly object? We invite you to read the Provincial Heritage Act. It’s draconian, arbitrary and pretty much permanent. Establishing a “Heritage Conservation District” as proposed along King Street between Young and Ellen Streets, will affect 18 properties, a number of them currently used as professional offices. The designation essentially assumes control of the external appearance of these private properties and places it in the hands of a heritage committee. The local guidelines are determined by that very committee and are absolute because the same body handles appeals of any decisions. What does this mean? It means that any time a homeowner within one of these defined areas wants to make a change to their streetscape – landscaping, roofing, window replacement and even painting, they must “apply” to the committee for approval. Enhancements YOU choose to make to YOUR home, which YOU pay for, are no longer YOUR decisions. Councillors Main and File asked 2 very good questions. The first was from File who asked about how this would affect modern accessibility issues such as wheelchair ramps for the professional offices. Main asked about a requirement for the property owners to be unanimous in adopting the designation. Ms. Scarth responded by saying that she was sure that the committee wouldn’t be “unreasonable” but artfully re-directed both questions to the Town’s Head Planner Wes Crown, who was also vague in his responses. Our coaching to Council is to have the heritage committee seek a 100% endorsement from all 18 property owners impacted by this stroke of a pen before Council decides what, if anything, it should do. The second presentation was by Ms. Kathy Willis, Executive Director of Huronia Transition Homes / Rosewood regarding their new facility being constructed in the old LCBO building downtown. They are renovating the building to create a vertical hydroponics farm inside which will provide employment and develop life skills for Rosewood clients. Ms. Willis projects this program can be financially self-sustaining on an operating basis after three years. Regrettably Ms. Willis also advises the project has already exceeded its capital budget for construction by some $1.5 million dollars. As a result, she adds the organization she oversees will be asking for support from local taxpayers at some point down the road. Rosewood is a noble cause that assists women in crisis, but Midland has been down this road before where good causes that may feel right at the time end up costing our taxpayers millions of dollars. Last and certainly not least was Mr. Don Chapman speaking about plans for the 2017 Midland Terry Fox Run. The event will go from Perkinsfield Park on Sunday, September 17th and will essentially follow the same route along Balm Beach Road as last year. The big change for 2017 will be the addition of numerous vendors at the Perkinsfield site so participants can enhance the ‘day outing’ experience for themselves and their families. Mr. Chapman is looking to improve on Midland’s 2016 total fundraising of $70,000 by another $10,000. Last year our community placed 16th highest in Ontario, a generous and remarkable accomplishment for our relatively small size. We note that Mayor MacKay will be this year’s flag bearer. With respect to Council’s ambitious evening agenda, we will comment briefly about a few items. The future of Midland Bay Landing (MBL) was prominent as Council contemplated staff reports intended to derive greater value for this 40-acre waterfront ‘jewel’, along with a discussion about transferring the MBL asset to a ‘Municipal Services Corporation’. With respect to the first part, Council decided to obtain four consultant’s reports on specific aspects of the site. Each report will help the Town and future investors/partners better understand the potential for redevelopment and costs. The reports will involve an environmental study, a topographical study, a shoreline engineering study and finally a geotechnical study. We believe this work is necessary to achieve fair value for the investment residents of Midland have made in MBL. The second discussion about MBL was the possible transfer of this asset to a new municipal corporation. The idea is that Council establishes the strategy for the asset but the day-to-day oversight and governance is managed by a Municipal Services Corporation, which has its own skills-based Board of Directors focused on driving financial and other value for the Town. While some Council members wrestled with the notion of losing control, a majority moved the idea along by supporting administration’s request to prepare a comprehensive business case for Council’s consideration. Two matters were considered with respect to Fire services. First, the extension of the Shared Services Agreement with Penetanguishene means Chief Ryan will continue to provide oversight to both the Midland and Penetanguishene Departments until April 5, 2019. This continues a positive step in the Town’s attempt to reduce costs unique to Midland that result from employing full-time firefighters and providing ‘first tier response’. We remain eager to hear about possible future approaches which might involve an area-wide fire service or other modifications to how fire and paramedic services are provided. Finally, staff presented a report titled ‘HR-operations strategy’. 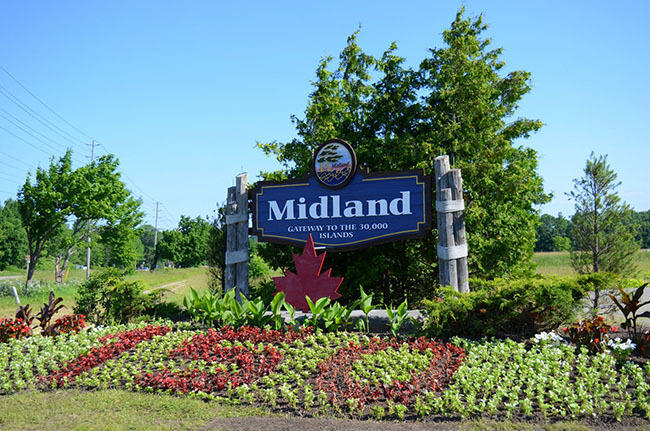 While the report was quite comprehensive, the bottom line was that Midland’s current pay system shows some problems in recruitment and retention for particular positions. These are never simple, one-dimensional issues. Money alone never keeps a talented employee long-term in an unsatisfying or unsettled workplace. The old saying, ‘people quit managers not companies’ often rings true. If your compensation and performance development systems are impediments to achieving a high performing organization, then address the few immediate needs now as one-offs and upon completion of your Service Delivery Review, consider overhauling the entire system. There is no real point in doing a major overhaul of your human resources systems until you decide on the services you intend to provide going forward and how you intend to provide them. Meantime, we support the need to attract and retain people the most qualified for the jobs we need done. Be the first to comment on "June Council Meeting Report"